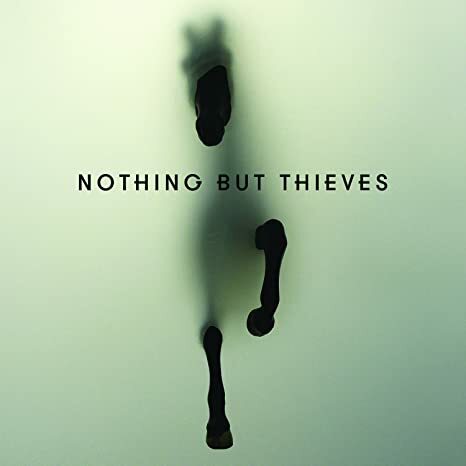 Toon's Tunes : Nothing But Thieves... how did we miss that? One of those evenings following musical threads through YouTube and iTunes and back, and I find Nothing But Thieves, and why? By the artwork. Yes, good artwork does still make me want to see if the sound matches up and... wow... another British band taking me away. Singer Conor Mason's voice is at times reminiscent of Jeff Buckley, this five-piece alt-rock band from Southend-on-Sea have supported Muse and played many European festivals, and are now touring the USA. San Francisco... last night. Darnit. Why didn't I come across them earlier? I guess I should have watched Jimmy Kimmel??? Check out all the remaining USA tour dates on Nothing But Thieves' Facebook or website. And their self-named album is available at all the usual places, including on vinyl.